EOS.IO Airdrops have inarguably become one of the most discussed topics among the community over the last few months. We are firm believers that the EOS Airdrop model will quickly outpace and outperform the ICO model. 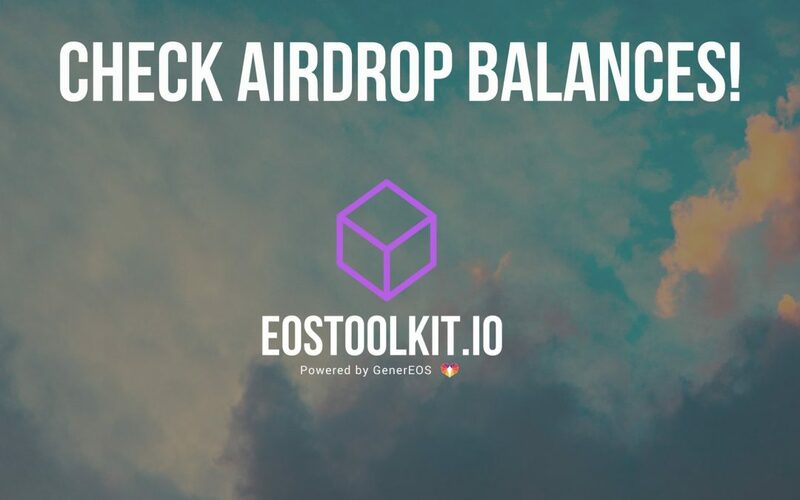 Presently, most Airdrops have occurred on Ethereums ERC-20 token, but now that the EOS mainnet is launched and stable we are about to see an influx of Airdrops occur on the EOS native token. EOSToolkit.io has many other features check out this article to get an overview!